Britain is due to leave the EU in six months’ time, at 23:00 GMT on March 29, 2019. 1. Will Brexit definitely happen? The UK government remains committed to reaching an agreement with the EU before negotiations end in March, however, May’s Conservatives do not have a parliamentary majority and any deal made with Brussels will be subject to a vote in parliament. Analysts say parliament’s reaction will be decisive, as MPs could choose to reject the deal entirely. May has warned this would lead to a no-deal scenario, in which all ties with the EU would be severed with immediate effect. “If the politicians are stupid enough to take us down that road then everything essentially just stops the minute we leave,” says Nigel Driffield, a professor of international business at Warwick University. “There will be no firms investing in the UK because they’ll just be concerned they won’t get their money out. The pound will fall and … there’ll be a shortage of drugs and a shortage of food, [but] I’m sure all of that will get worked out because I think the politicians involved recognise that putting the country into that sort of mess is one sure-fire way of not getting elected again,” he told Al Jazeera. MPs could also choose to hold a second referendum on the terms of the divorce. A second vote is controversial as some argue that it could violate the democratic result of the first referendum. 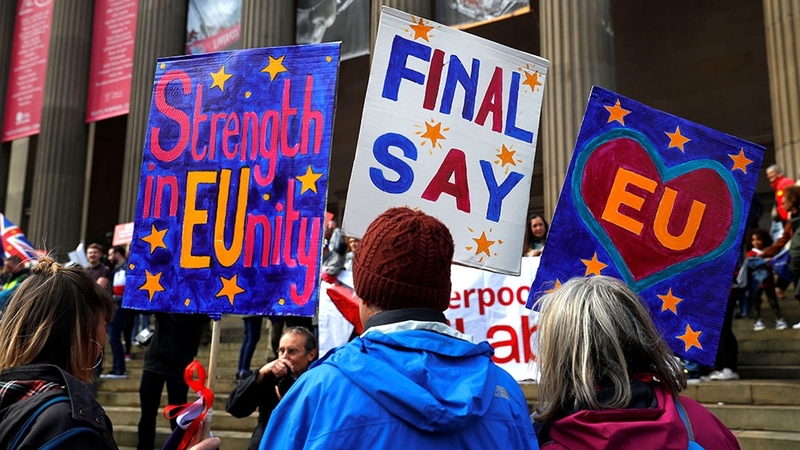 According to opinion polls, momentum for such a vote appears to be growing, with one survey published in July claiming 42 percent of British voters believe they should be given a final say on leaving the EU. At their annual conference in September, the opposition Labour party voted to back a new referendum – which could include the option to remain in the EU – if May’s eventual Brexit deal failed to get through parliament. “Nobody is ruling out ‘Remain’ as an option,” Keir Starmer, the shadow Brexit minister, said on Tuesday. 2. Is a trade deal expected? While preliminary agreements have been reached on issues such as immigration and the fee the UK will have to pay to leave, a trade deal has so far remained elusive. The Chequers agreement deals solely with goods, despite services accounting for the bulk of UK exports. It proposes that the UK will mirror EU rules on goods and that the country will be treated as a “combined customs territory”. This would see the UK apply domestic tariffs for goods intended for UK consumption and EU tariffs for those heading into the EU. This plan is meant to prevent the need for a physical border between Northern Ireland and the Republic of Ireland, which has become a thorny issue. It seems unlikely, however, that the EU would accept the trade guidelines laid out in the Chequers agreement. 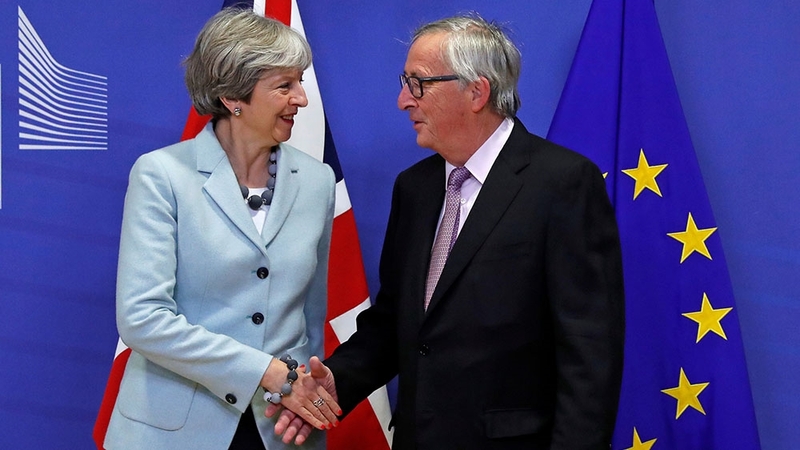 “The EU remains opposed to anything less than a comprehensive agreement on both [goods and services] and they are actively stonewalling the PM over advancing negotiations until the UK concedes ground on this,” Loyens told Al Jazeera. “Until the UK recognises that it is unrealistic to expect a tailored trade agreement, which takes the most desirable parts of the single market, a comprehensive trade agreement cannot be guaranteed in the coming months,” he said. Meanwhile, the UK is also looking further afield, attempting to secure trade deals with overseas partners including the United States, Australia and several African countries. “I think at the moment you can kind of see what [International Trade Secretary] Liam Fox is trying to do – he’s just looking to get a deal with anybody over anything so that he can announce one,” said Driffield. At the United Nations General Assembly meeting in late September, May said she had discussed a desire for a “big and ambitious” post-Brexit trade deal with US President Donald Trump. “I think particularly the Brexiteers would love to have a sort of free-market version of a deal with America, where we stop worrying about things like hormone-injected beef or chlorine-washed chicken, and we do a deal that’s in the image of the right wing of the Tory party and of the right wing of the Republican party, which is terribly free market,” Driffield told Al Jazeera. “I imagine we will [strike deals with Australia and New Zealand] but in terms of their importance to the UK, they’re going to be tiny”. 3. What will happen to EU migrants in Britain? May has said an agreement reached with the EU in December will allow the 3.2 million EU citizens currently living and working in the UK – along with citizens of Iceland, Liechtenstein, Norway and Switzerland – to “go on living like before”. If the Withdrawal Agreement is ratified, these individuals will have their rights enshrined in UK law as long as they came to the country before the Brexit deadline date. Beyond that, it’s uncertain what conditions future EU migrants to the UK will have to meet. “The UK cabinet has endorsed reforms to the immigration system, which would emphasise skill sets over nationality in determining eligibility to live and work in the UK,” said Loyens. EU citizens living in the UK and vice versa will be able to leave for up to five years without losing these rights, according to the draft agreement. During the 21-month transition phase following the split, EU citizens will continue to be allowed to work in the UK, but it is unclear if they will enjoy the same rights granted to pre-Brexit arrivals. This agreement will only come into force if and when a final Brexit deal is reached and approved by parliament, however May has said EU citizens will be allowed to remain in the country even in the event of a no-deal scenario. “Free movement of labour [between EU countries] has been seen as something to help firms not spend money on training, so in the short term there are going to be big skill shortages,” said Driffield. 4. What will happen to British migrants in EU countries? UK citizens in the EU will have a similar deal to the above, according to Jean-Claude Juncker, president of the European Commission, who said that “cheap and simple” administration procedures will be put in place to facilitate this. However the 27 EU member states have yet to ratify December’s Withdrawal Agreement. There are roughly 1 million Britons living in the EU awaiting clarity on whether they have a right of return to the UK, and if that right would cover spouses and children from EU countries, as well as work-related issues. “The possibility of a large number of financial services jobs being relocated to the continent makes it a strong possibility that EU national governments could become more accommodating in their migration schemes,” said Loyens. 5. How is the UK economy expected to be affected after Brexit? Immediately after the Brexit vote, there were signs of trouble for the UK economy. Sterling dropped by 10 percent against the dollar, reaching a 31-year low in the hours following the referendum. In August, the pound hit a record low for 2018 against both the euro and the dollar as fears of a no-deal scenario grew. “The UK economy will be worse off after Brexit. How much worse off it will be depends on the deal that is reached. This is a view shared by the EU as well as the Bank of England, and the IMF in its most recent analysis of the UK economy,” Loyens told Al Jazeera. “Recession under a no-deal scenario is likely, and threats to the economy will continue even with an exit agreement and into the transition period. Forecasts of 1.5 percent growth for 2019 are also contingent on a smooth Brexit,” he said. International businesses including Lloyd’s Bank and Bank of America have moved their European headquarters from London to continental cities since the Brexit vote. Banking giant HSBC announced that it would move 1,000 jobs from London to Paris, where it will set up its European headquarters. According to the European Automobile Manufactures Association, 80 percent of the UK’s car production is exported, of which 54 percent goes to EU member states. “It’s going to be bad if we have anything even approaching Chequers,” Driffield said. “I think we will see a huge reduction in investment, I think we will see firms orienting away from UK production and doing more in Europe because they will just think: ‘It’s not worth the hassle’ […] Over time business will find a solution and that solution will be doing less in the UK”.